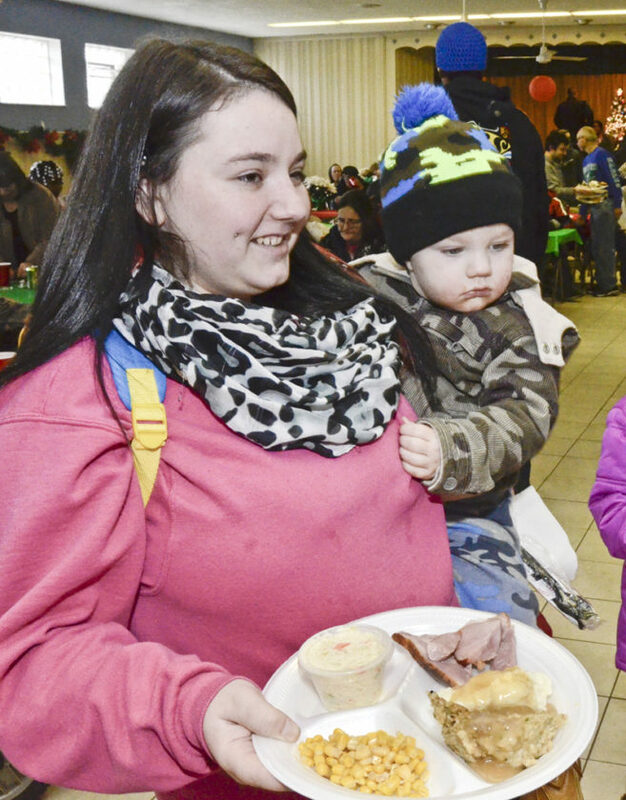 WARREN — Thousands of people had a merrier start to their holiday weekend thanks to the Warren Family Mission, which held its annual free Christmas dinner Friday afternoon. “I’d say we’re probably going to have about 700 people come in today,” said Dominic Marrari, the mission’s director of public relations. He said approximately 2,100 meals would be taken to shut-ins who were unable to attend the dinner. The dinner has been held for 18 years, and every year it has gotten bigger, Marrari said. Aside from the food, everybody who attended got a bag of stocking stuffers, every child received a gift and there was a drawing for 12 new bikes. 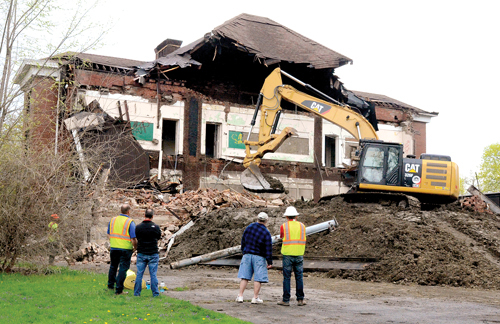 One of those present, Patrick Vrontos of Warren, said he was extremely grateful for the meal after having recently lost his job at the General Motors plant in Lordstown. “I just want to say thank you to Pastor Chris for what he’s doing,” Vrontos said. Pastor Chris Gilger, executive director of the Warren Family Mission, promotes the dinner on Facebook and through ads in the Tribune Chronicle. Despite the number of people that need to be fed, Gilger said there are enough volunteers and food donations to make the dinner run smoothly. “It’s not hard for me. I’ve got a really good staff, I get a lot of help from the community,” Gilger said. One of the sources of food was the recent Care & Share put on by the United Auto Workers, which donated three pickup truck loads of leftover food. “I used to sing for the church, so I figured I would sing today,” Shavers said. Marrari said the singing and a performance of Christmas carols by members of the Zion Christian Fellowship Church of Middlefield were a new element of this year’s feast. Also present to sign autographs and meet with his fans was former professional boxer Kelly Pavlik, who grew up in Youngstown and said he was introduced to the dinner at the mission by his friend Robert Parkhurst of Newton Falls. Sarah Raines of Warren, who used to work for the Warren Family Mission part-time, has been coming to the dinner for eight years, and brought her granddaughter Kylynn Dos Santos, which marks Kylynn’s second year at the mission. “I love this place, they help so many people,” Raines said. After the dinner was over, Marrari reported that more than 2,622 meals had been served, and that 277 children left with a toy and a bag of stocking stuffers.